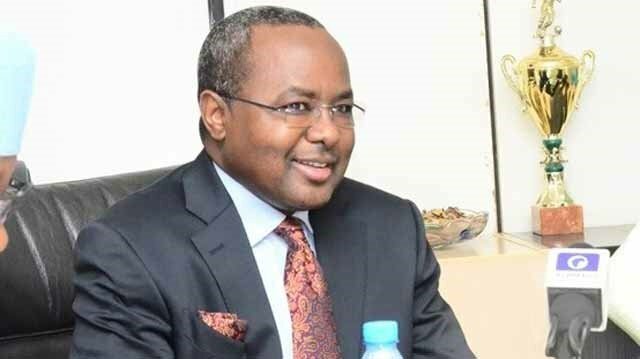 The suspended Director-General of the Securities and Exchange Commission, Mounir Gwarzo, is being investigated by the Economic and Financial Crimes Commission. He has been under investigation since 2005, according to the commission. EFCC wants to unravel the owners of the nine companies that were awarded contracts by the SEC under Gwarzo. They include: Outbound Investment Limited, Medusa Investments Limited, Northwind Environmental Services, Micro-Technologies Limited, Tida International Limited, Outlook Communications, Acromac Nigeria Limited, Balfort International Investment Limited and Interactive Worldwide Nigeria Limited. According to the EFCC, Gwarzo, his wife and other cronies allegedly used these companies to carry out illegal transactions in SEC. Gwarzo, 30 months old as SEC DG, was suspended by the finance minister over allegations of financial misappropriation. He replaced Arunma Oteh, who resigned in January 2015. Gwarzo was then the Commissioner in charge of operations. Finance Ministry’s Deputy Director of Information, Patricia Deworitshe had in a statement on Wednesday said that the suspension is to allow an unhindered investigation into several allegations of financial impropriety. Deworitshe said that Abdulsalam Naif Habu, Head of Media Division, SEC and Anastasia Braimoh, Head of Legal Department of SEC had also been suspended.